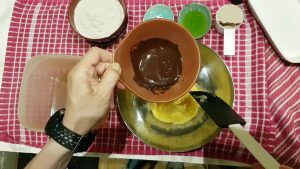 Want something chocolaty? 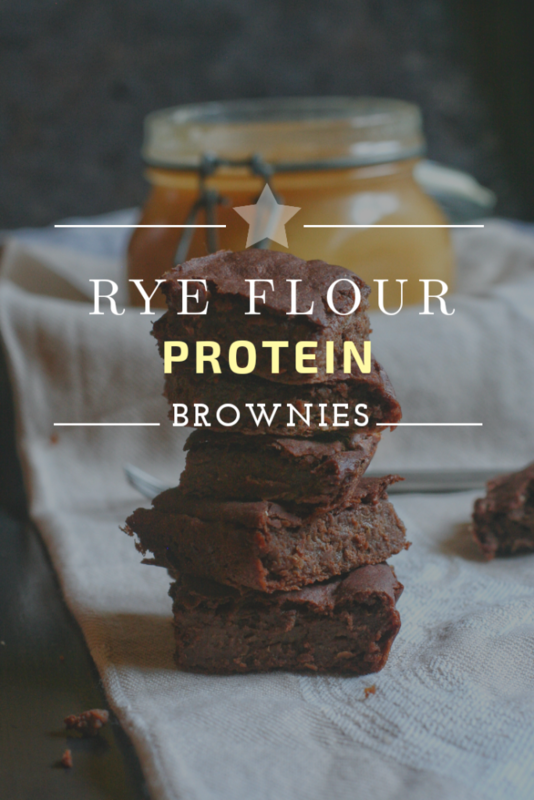 These rye flour protein brownies are a quick solution for a preworkout snack, soft, satiating and light. One batch is never enough.They give me the right boost to hit the gym without feeling bloated. Plus they’re even great for breakfast with a nice portion of Greek yogurt … delicious. There are very few ingredients, you can make it in a blink. Good morning everyone, Friday is my recipe testing day. I usually try new peri-workout snacks and breakfasts …and I enjoy it a lot.In the boom days of the beetroot brownies,:roll: I remember that the “browniesed” red beets were the only thing around. I won’t deny that I tried to make them … oh, boy, I hopped on the beetroot train as well. wrong … I was convinced, they would come out amazing. So I said, why not try it? I found the most disparate recipes, I chose a bunch, went down the rabbit hole, and got the work done. Armed with a mixing bowl on one side and a blender on the other, plenty of enthusiasm (more or less) I threw myself into this beetroot brownie jungle. It went wrong, very wrong indeed. Final marks … well, we don’t talk about that any more! If anyone has a recipe in which she/he has succeeded in this miracle… Please pass it on thanks, super hola and solemn summons in the great book of cooking honor and fame will follow. But back to my brownie day (surely there should be a world brownie day, but I doubt it is today)- Updating FYI—> As stubborn as I am I googled and found out it’ll be the 8th December 2018…so we have plenty of time. 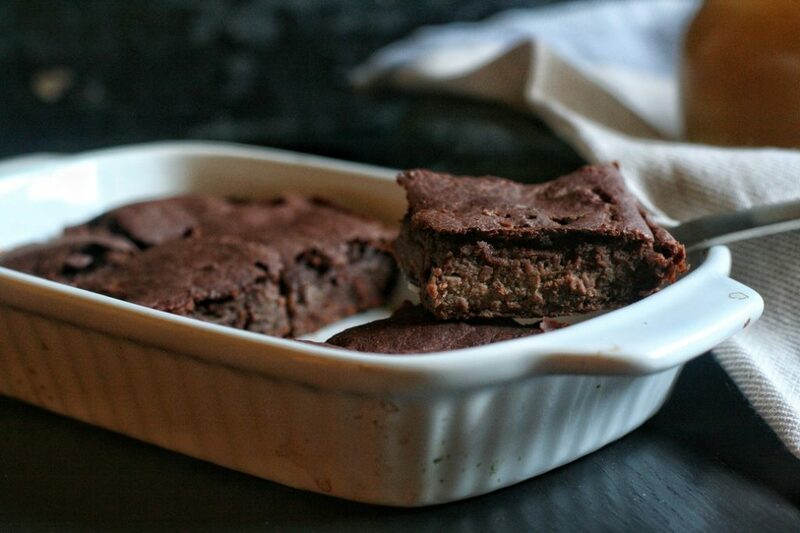 I made these rye flour protein brownies raising their protein rate by adding whey protein powder. 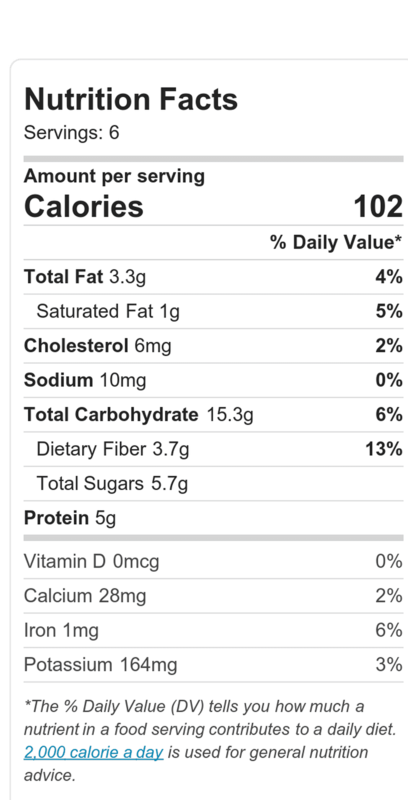 Since there is no added eggs, protein would only come from flour and fruit, but hardly enough. So I added the chocolate flavour whey and I used 99% dark chocolate as a chocolate flavour booster. 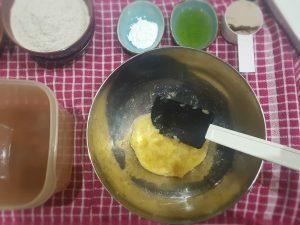 The one I used was really really strong and bitter, but it worked pretty well with rye flour. Next time I’ll try with a less pure one. In any case, it has a very special taste and is so fragrant. Bread baked from this flour is spectacular . I use this recipe primarily for snacks and for breakfast, if they survive the kitchen predator raids. Usually they are wiped out during the day, and often the snacks become more than my daily 2. In short, when I prepare a batch of these brownies it’s hard to have them for breakfast the next day. Product availability: it’s good, I don’t know if the rye flour is found easily in every grocery store, but it’s common in organic shops. You can always get some online. 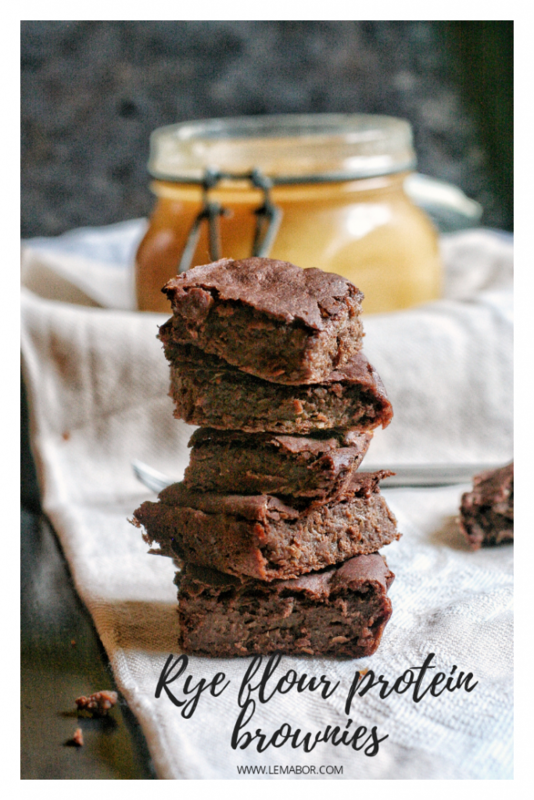 To make these rye flour protein brownies I spent a total of € 1.62 and € 0.27 a portion. 1. 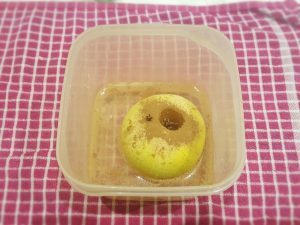 Wash an apple and remove the core. add water and spices and cook for 10 minutes at 750 power. 2. Pick up the apple and remove the clove. pour it into a large mixing bowl. 3. 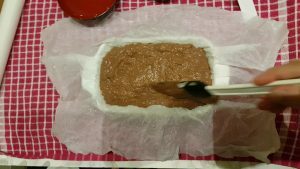 Melt the dark chocolate and add it to the apple mash, and mix evenly. 4. Add the flour, baking powder , the protein powder and incorporate 100 ml of the apple cooking water. Pour the oil and combine well. 5. Line a baking tin with baking paper and pour the mixture. Bake at 200 °C for 20 minutes. Wash an apple and remove the core. and add water and spices cook for 10 minutes at 750 power. Pick up the apple and remove the cloves. Blend reducing the apple to mash and pour it into a large mixing bowl. 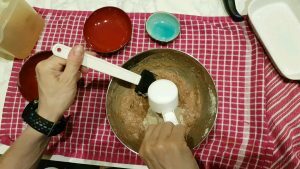 Melt the dark chocolate and add it to the apple mash, mix evenly. Add the flour, baking powder and protein and incorporate 100 ml of the apple cooking water. Line a baking tin with baking paper and pour the mixture.